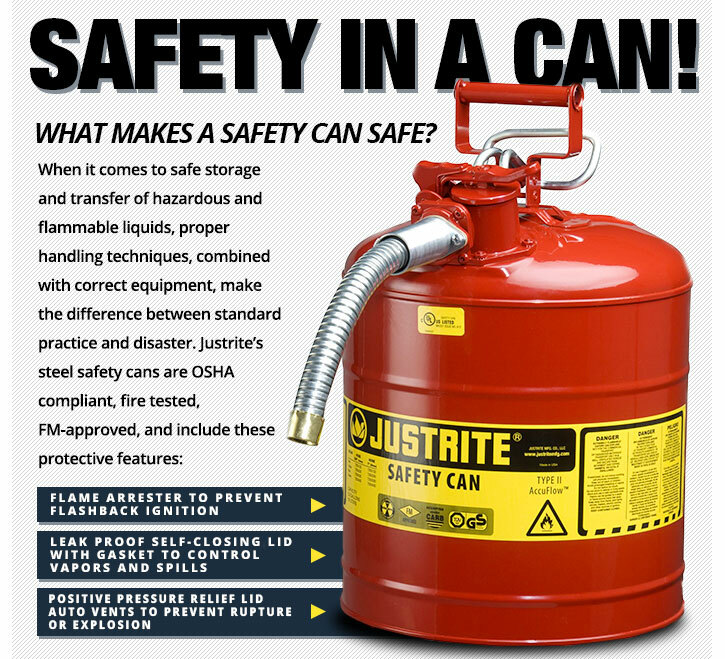 What Makes a Safety Can Safe? This entry was posted in General and tagged DOT, Justrite, Safety Can, Type I, Type II. Bookmark the permalink.